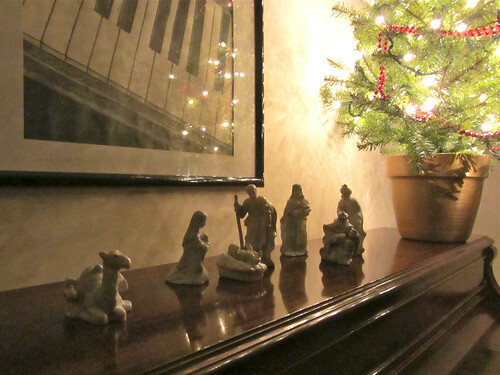 Tuesday night while Mickey and Meg were at church Kade and I set up the little tree and all the nativity scenes. We have four. For some reason I have put off decorating for Christmas but I really wanted the nativities out. Since that's what Christmas is all about anyway. I didn't have much to photograph today so I got a picture of one of the sets. I plan to set up the tree tomorrow and let the kidlings decorate it. They will enjoy that.